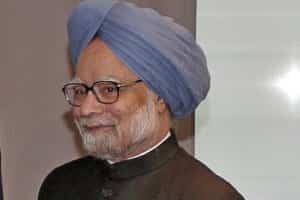 Bali (Indonesia): Acknowledging India’s economic slowdown this year, Prime Minister Manmohan Singh on Saturday said the country is still expected to witness a 7.5% growth as he pressed for greater flow of trade, investments and services from East Asian nations. The Prime Minister referred to the euro zone crisis, saying it showing “several signs of stress" and wanted the Asian countries to send a message of solidarity to Europe as they had a stake in early resolution of the problem. “The global economic situation is showing several signs of stress. However, the emerging market countries in Asia are growing well and are in fact contributing to the recovery of the world economy," he said, noting that India was part of this process. “We have grown at an average of 8.4% in the past five years. Like other countries we too have slowed down in 2011, but we still expect to grow around 7.5%," Singh told the summit, attended by leaders like US President Barack Obama and Chinese Prime Minister Wen Jiabao. Observing that no one can prosper in isolation, he said “the most serious fault line at present is what is happening in euro zone." “Against the global economic background that we are in, it is all the more important that we give full play to flows of trade, investment, services and ideas among ourselves," Singh said. He underlined the need for persevering with the project of East Asian economic integration and making efforts towards a CEPEA.